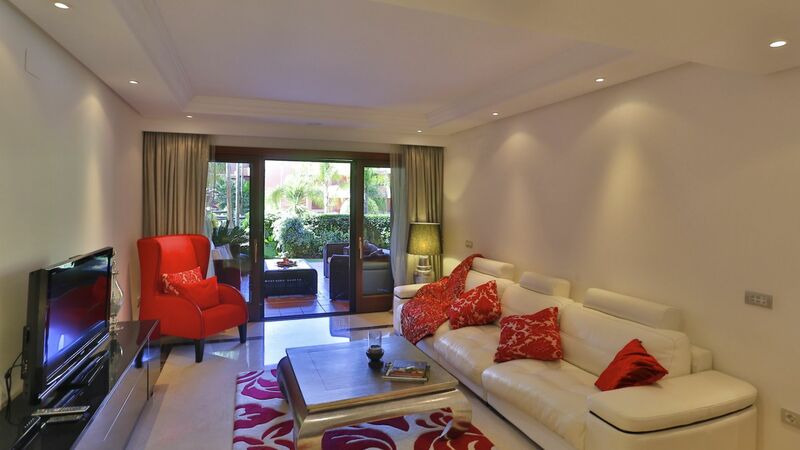 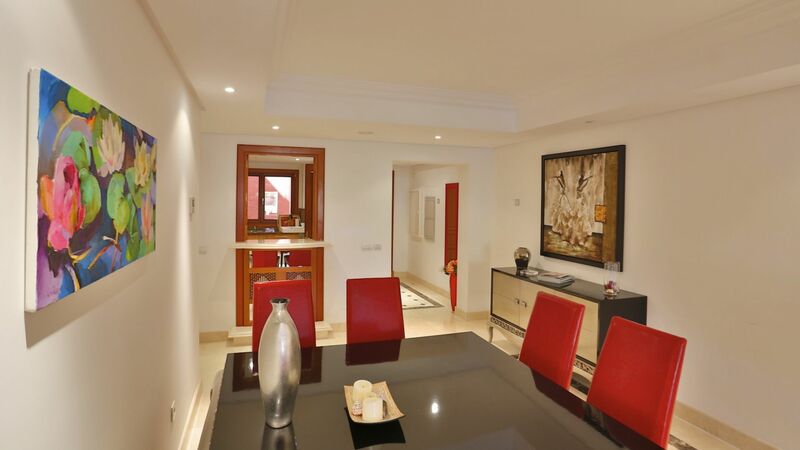 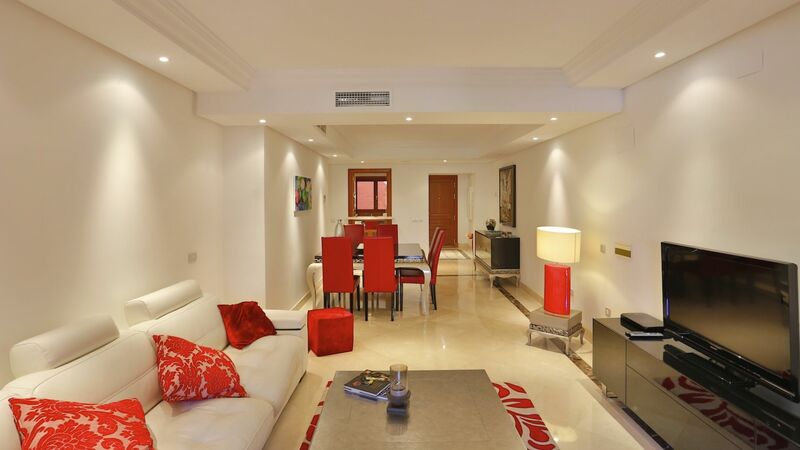 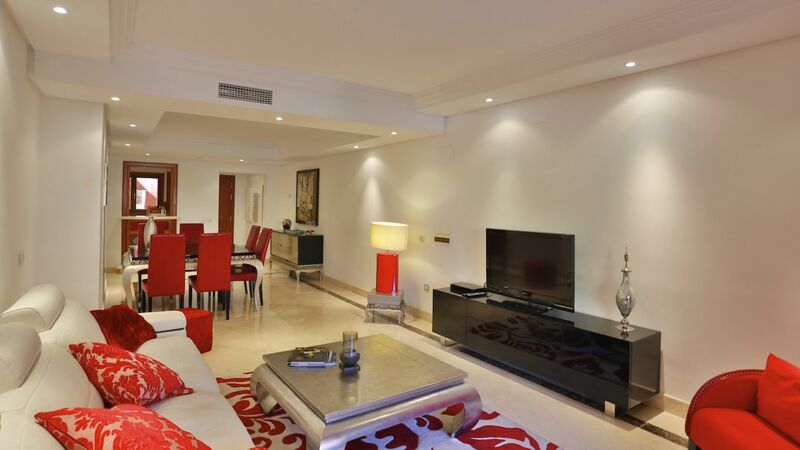 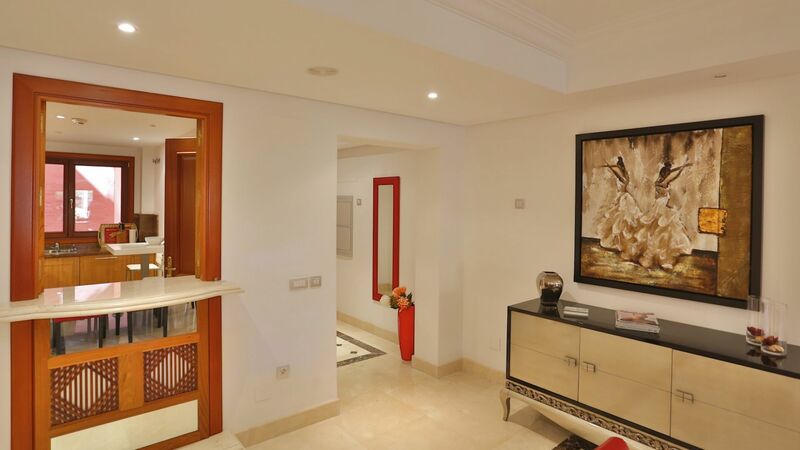 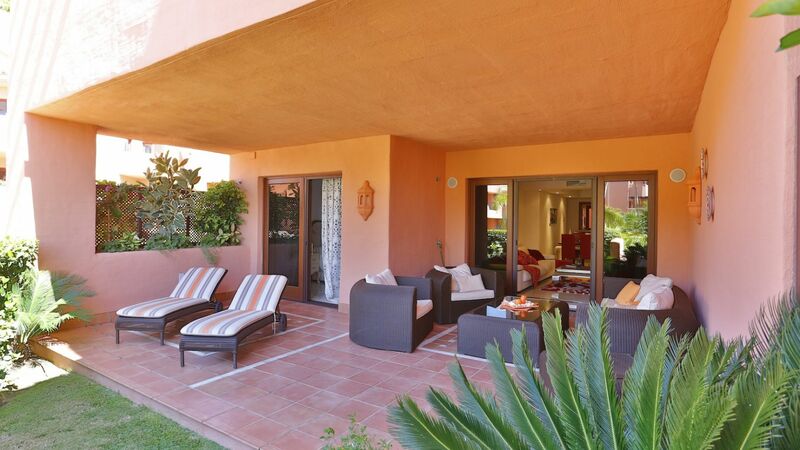 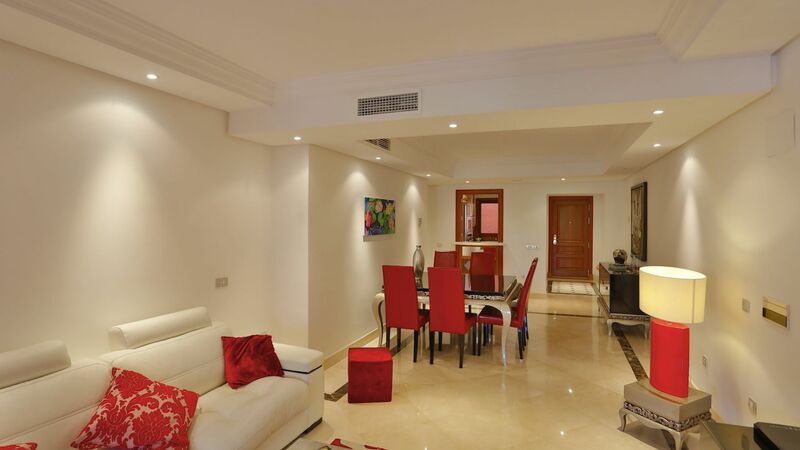 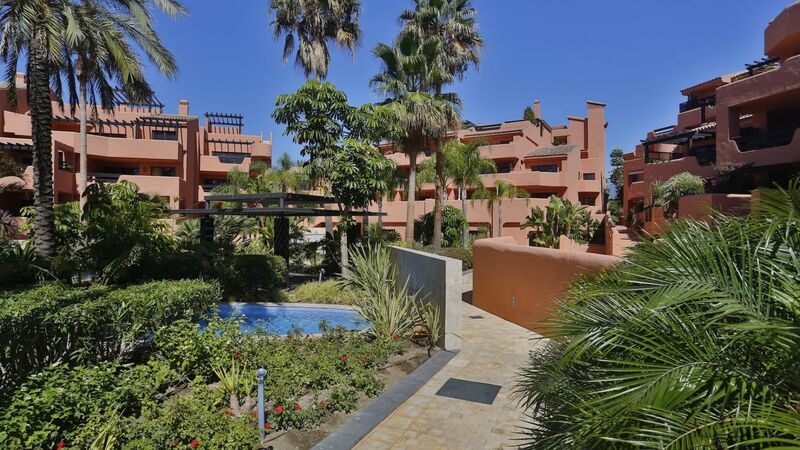 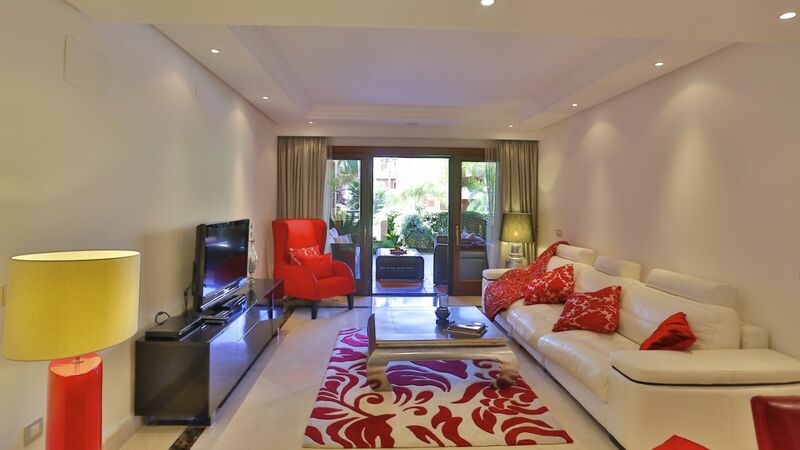 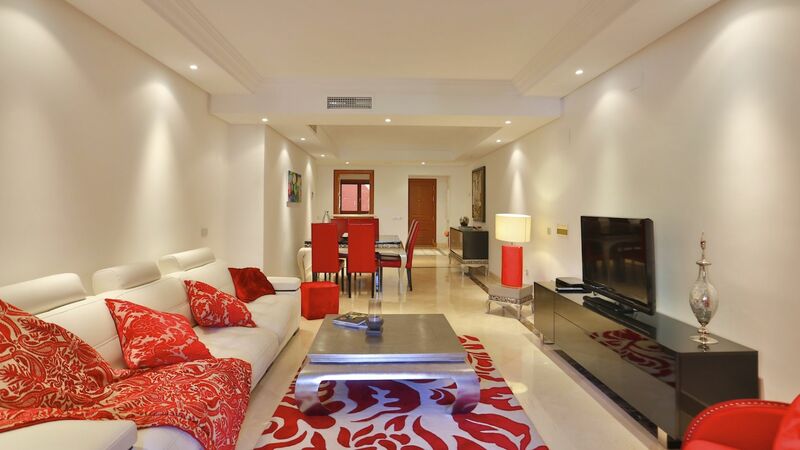 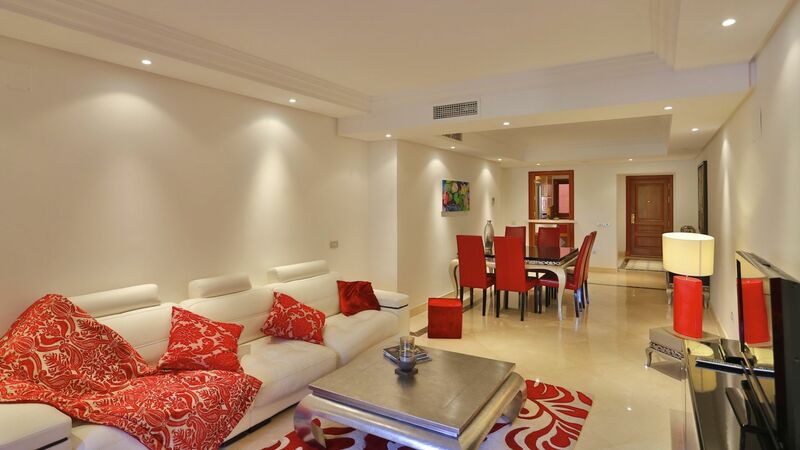 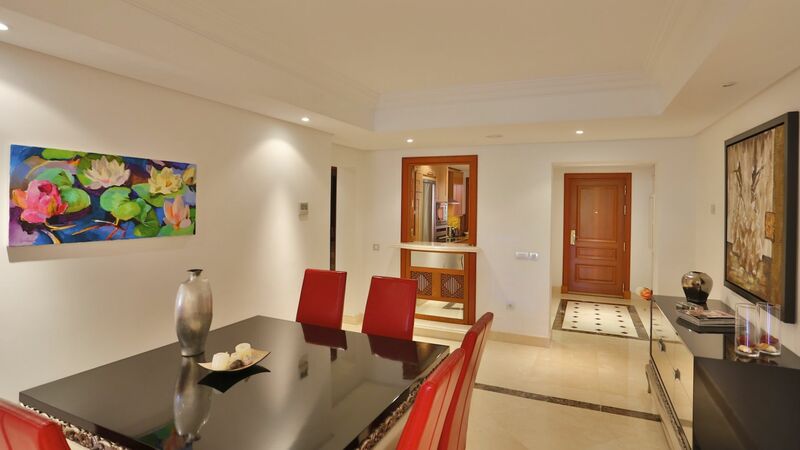 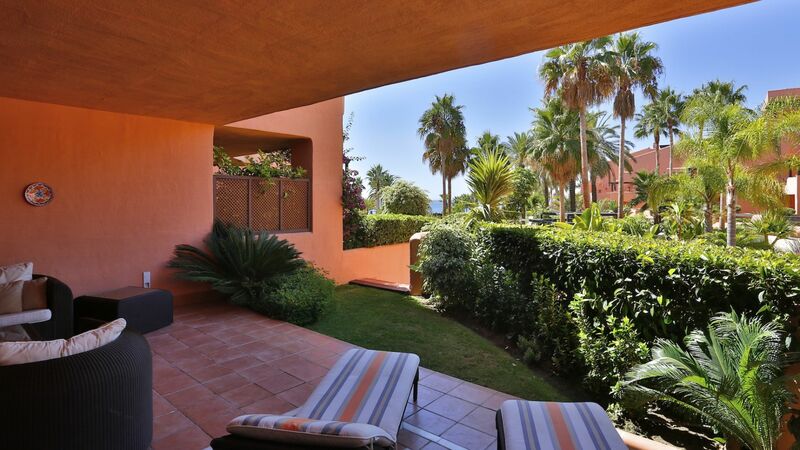 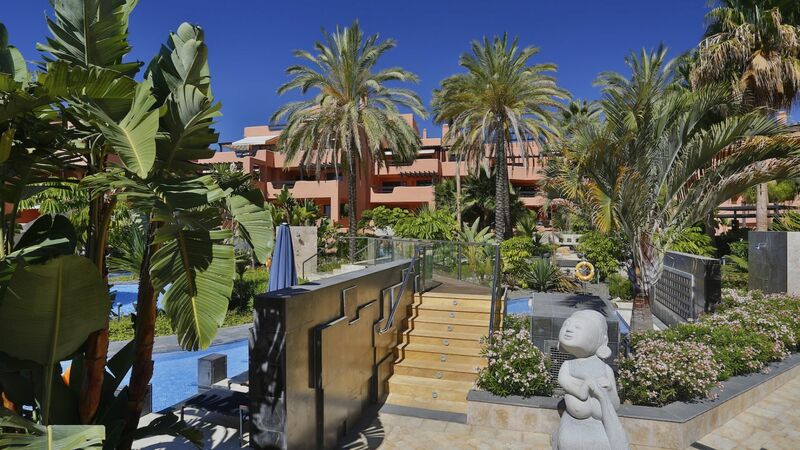 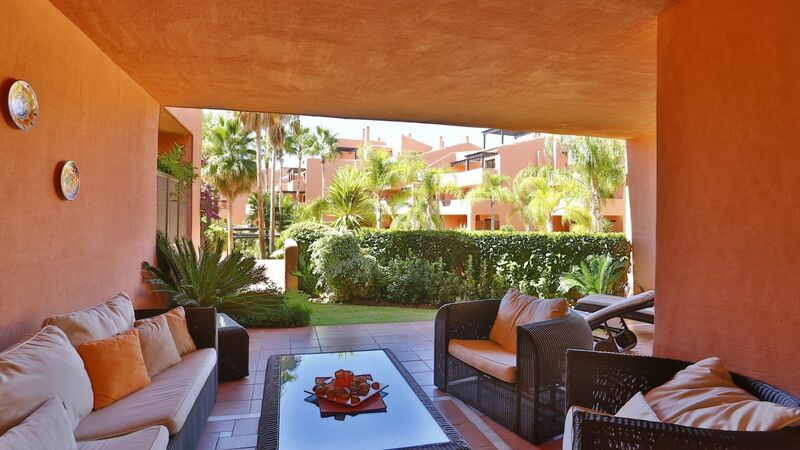 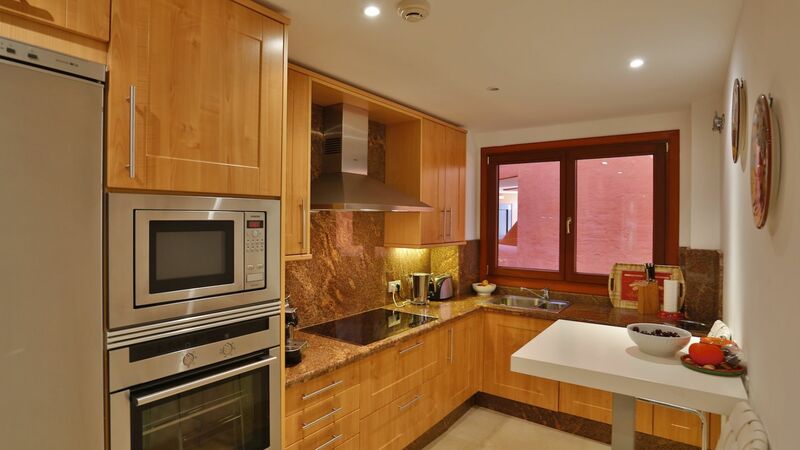 Spectacular ground floor apartment located within a front line beach gated community offering 24 hour security on the New Golden Mile, only a short drive away from all amenities and the centre of Estepona. 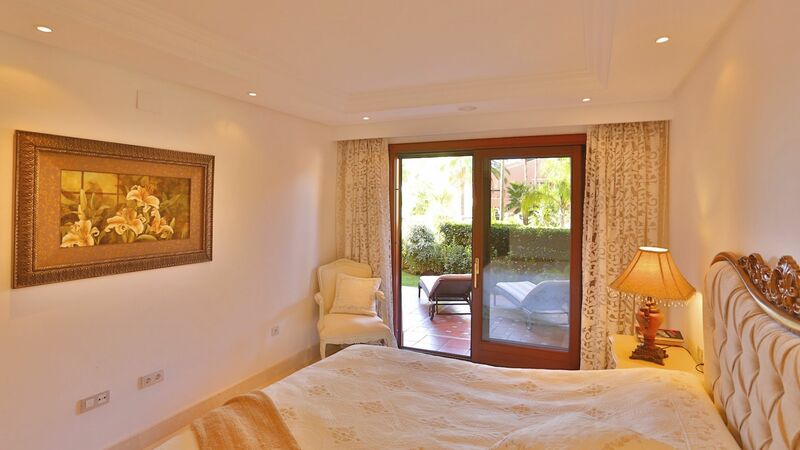 Constructed with high quality materials and with the latest technology, this west facing property enjoys lovely views over the garden. 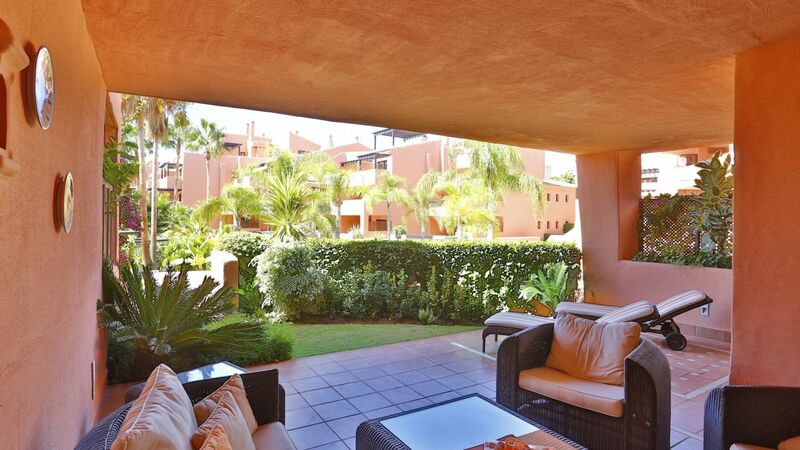 The apartment offers 2 bedrooms, 2 bathrooms, living room with incorporated dining area and access to the covered terrace, a modern fully fitted kitchen as well as 1 private parking space and 1 storage room in the communal garage. 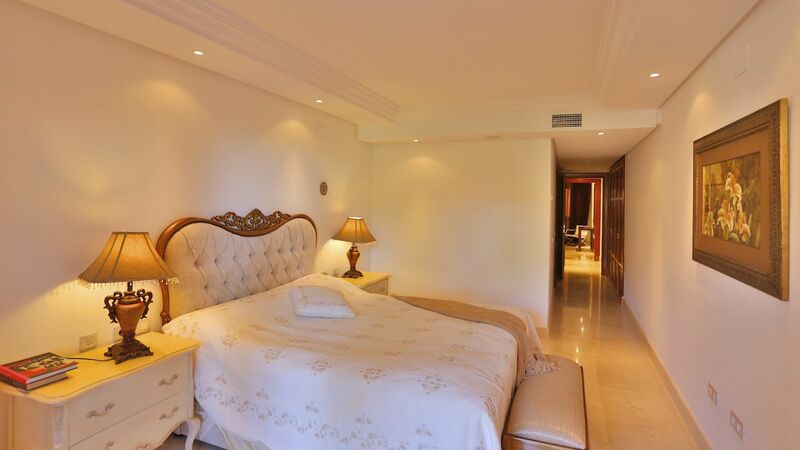 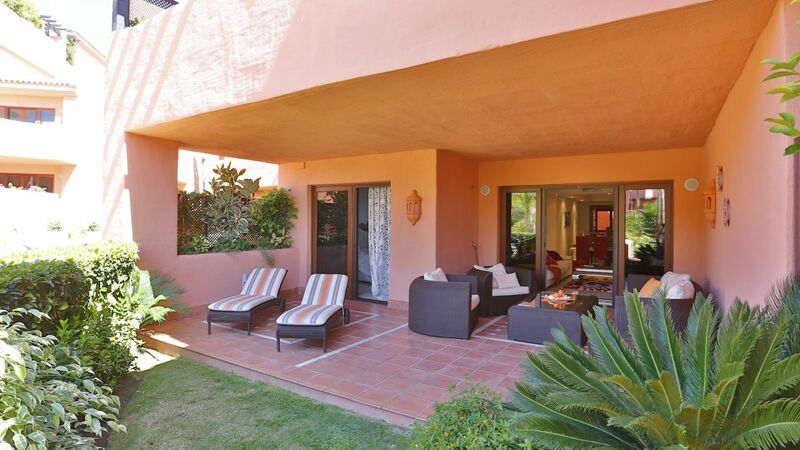 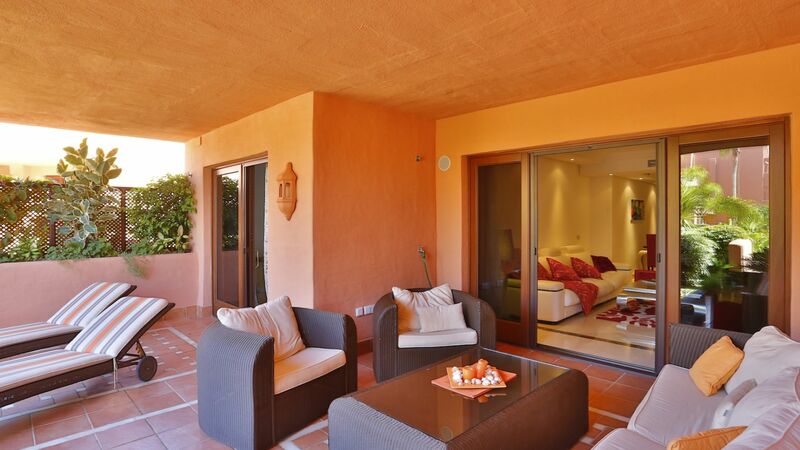 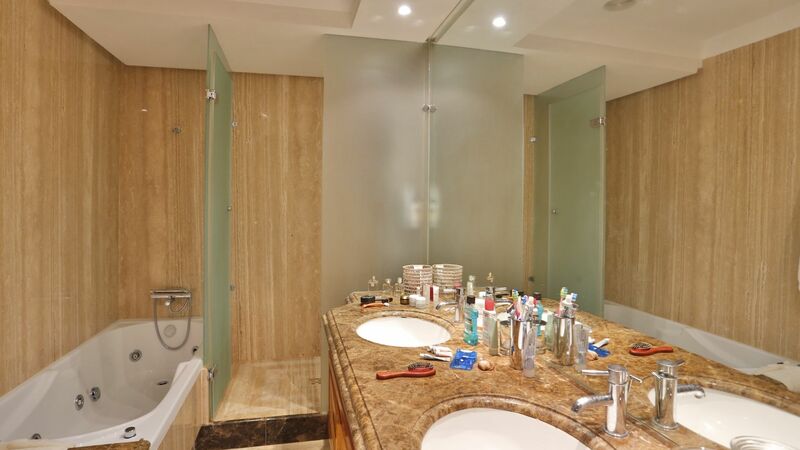 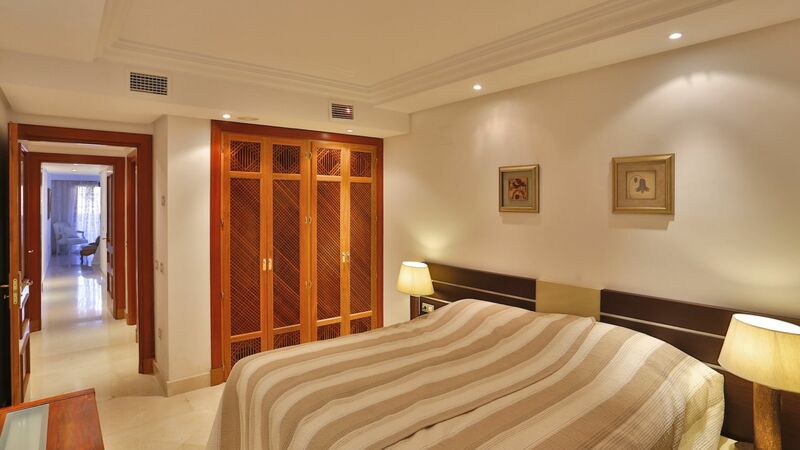 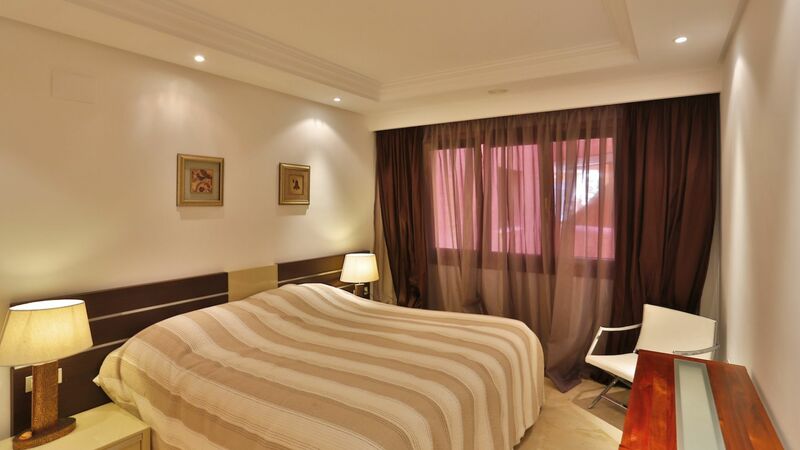 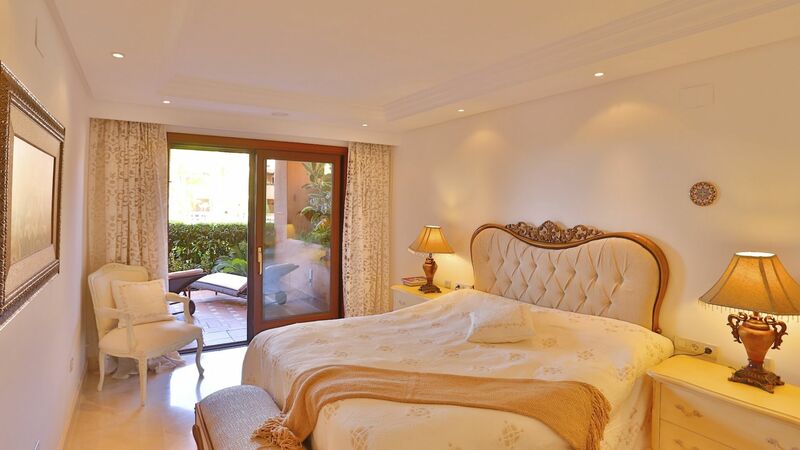 The master bedroom is en suite,with terrace access and complete bathroom with jacuzzi bath and separate shower. 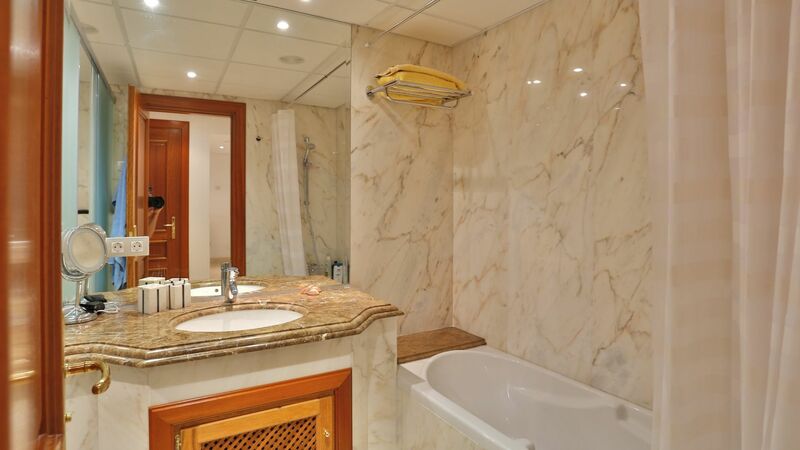 The apartment is tiled throughout in marble and fitted with demotic control for the electric sun blinds, surround system, A C hot & cold, UFH and alarm. 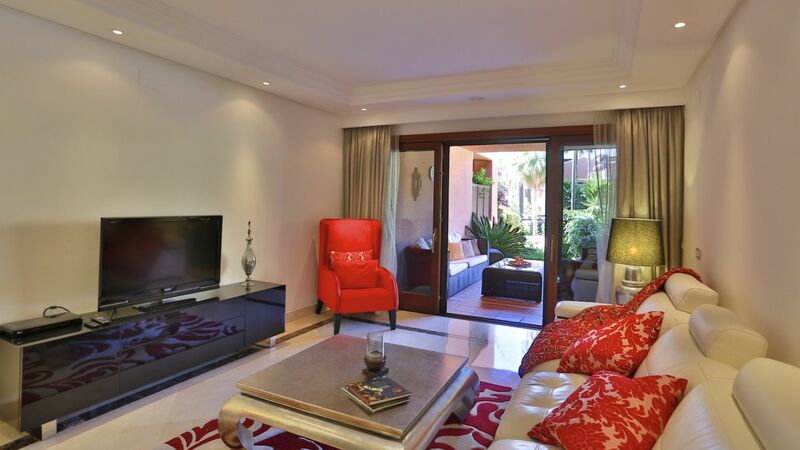 The community offers beautiful gardens with large exterior swimming pool, concierge service as well as an indoor pool with small spa and gymnasium.